Blue Bridge staff looks forward to meeting with our associates in the hospitality industry, at the 41st Annual Hotel, Motel and Restaurant Supply Show of the Southeast (HMRSS), January 24-26, 2017. We specialize in financing PIPs and FF&E purchases, providing the funds required for hotel upgrades and equipment purchases. Come talk to us in Booth 196. The HMRSS offers hospitality businesses the opportunity to meet with a fantastic array of vendors, all under one roof, and satisfy your purchasing requirements for the entire year. 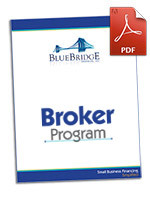 Blue Bridge is pleased to join this dynamic group and bring new value and services to the marketplace. Hospitality vendors: Come learn the benefits of a financing partnership!